Please check out our new BUAPP Video! 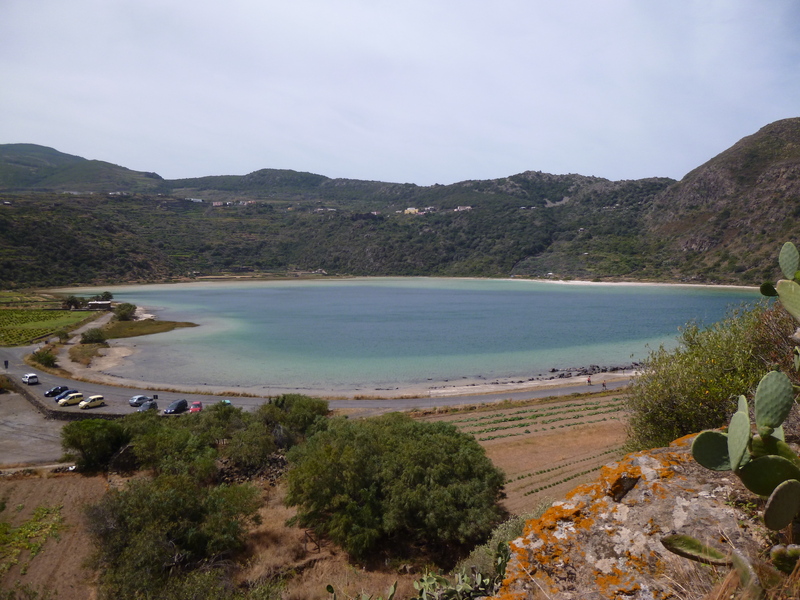 The Pantelleria Project is an international collaboration investigating the archaeological past of the island, run by members of the Department of Classics at Brock University in Canada. Kind permission is granted by Dottoressa Paola Misuraca (Soprintendente, Beni culturali ed Ambientali di Trapani) and Dottoressa Rosella Giglio (Soprintendente, Beni culturali ed Ambientali di Trapani, Sezione per i Beni Archaeologici). Generous guidance is provided by Professore Sebastiano Tusa (Soprintendente Beni culturali ed ambientali di Mare). Financial support is provided by Brock University and the Humanities Research Institute at Brock University. Prior to the development of the Brock University Archaeological Project at Pantelleria, we conducted two pilot seasons of work on the island. The first pilot season, Co-Directed by Dr. Carrie Ann Murray and Leonardo Abelli, was held during May and June 2012. Work focused at the Castelletto di Favarotta, Contrada Khamma, which is situated on the eastern side of the island. The site had been previously identified as an archaeological area warranting investigation due to the enormous standing remains of a large structure and numerous other wall features. Dense vegetation disguised the true extent of the area. During this season of less than a month, we accomplished our fieldwork goals. The dense vegetation was cleared; the structure’s wall-features were recorded in elevation using traditional drawings, photography, and total station; the site plan was made using traditional drawing and photogrammetry. In addition, three test sondages were made in different, strategic areas inside of the structure. The finds were cleaned, recorded, and photographed. Undergraduate volunteers from Brown University were instructed in the field and gained first-hand experience of the skills essential to archaeological training. The second pilot season took place in June of 2013. With the aid of Giovanni Calandrino, Dr. Carrie Ann Murray, Clive Vella, and Dr. Tom Leppard visited and evaluated the archaeological potential of several sites on Pantelleria, including: Scauri, Zighidi, Gibbiuna, Mueggen, Monastero, and Dietro l’Isola. We focused our attention on the Lago di Venere and the Punic Necropolis. These sites hold huge potential for illuminating the nature of the Punic Period on Pantelleria. Much work remains to be conducted at these sites; we are now in the process of applying for permission from the Soprintendenze per i Beni Cultural ed Ambientali di Trapani. The new Brock University Archaeological Project at Pantelleria (BUAPP) began in the summer of 2014. The project now focuses on the Lago di Venere area at the site of the proposed Punic and Roman sanctuary. Dr. Carrie Ann Murray, Clive Vella, Thomas Urban, and Amanda Lahikainen conducted a Ground Penetrating Radar (GPR) survey. GPR successfully worked in the difficult conditions of the highly volcanic soil. The results of the survey demonstrated that substantial amounts of buried architecture and other anthropomorphic features exist in the fields surrounding the proposed sanctuary (Murray, Vella, Urban forthcoming; Urban, Murray, Vella Lahikainen 2015). In 2015, BUAPP, led by Carrie Murray, Clive Vella, Eoin O’Donoghue, and Maxine Anastasi, held its first excavation season with undergraduates from Brock University. Test trenches were excavated at the Lago di Venere site, just west of the proposed sanctuary area. Numerous architectural features were recovered. Stratified, diagnostic sherds date different phases of the structures to the third to first centuries BCE. During the season we organized a public open day and an educational session for children. In 2016, we returned and continued the excavations in order to examine the nature of the transition from the Punic to Roman period at the sanctuary site on the edge of the volcanic crater lake. The central trench area was expanded to examine the central architectural feature. We are currently examining the artifacts and architecture. We were also granted a Convenzione by the Assessorato Regionale per i Beni Culturali ed Identità Siciliana for at least two more years of excavating at the site. Please see the Project Blog follows the progress of the Pantelleria Project.